After a trip to The Netherlands last summer, I drafted a blog about finding Baillon’s Crake in the UK this year. I never posted it as it seemed a bit extreme. What do you know? In The Netherlands, we looked at some sites created for Purple Herons. Extensive, shallow wetlands that provide good feeding conditions and will slowly colonise with reed and other aquatic vegetation. Such areas, of course, attract many other species. In the early stages, Black-necked Grebes and Spoonbills are likely to appear, but of particular interest was the occurrence of Spotted and Baillon’s Crakes in grassy and rushy habitats after initial flooding. 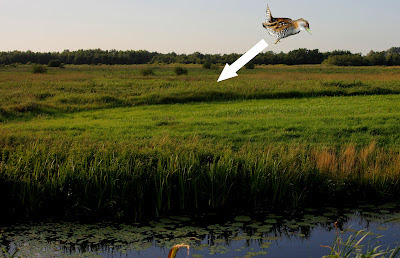 Bailllons Crakes occur across the Netherlands in low numbers but are very easy to miss and are thought to be more numerous than the figures suggest. 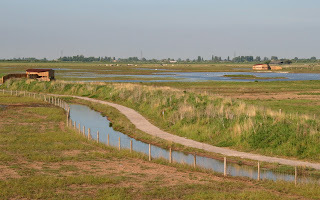 Looking at one of the sites with Baillon’s Crake reminded me of the singing bird in 1999 at Grove Ferry in the early stages of the reedbed habitat creation there. With only four UK breeding records, are we over-looking them? Could we manage sites like Grove Ferry to attract more crakes? A tenner says we could. Anyway, we decided to add Baillon’s Crake to the national Spotted Crake survey this year. Everyone laughed of course. Now a Baillon’s has been found on a Spotted Crake survey by Ian Hawkins at Malltraeth. How many more are out there? Baillon's typically turns up later in spring in The Netherlands than Spotted; from mid-May until the end of July. They can breed very late in the season, and have been seen with small chicks in mid-August. The males rattling song, somewhat like a cross between a frog and a Garganey, is best heard during quiet, windless nights. They may call during rather cold nights, when the Marsh Frogs keep quiet, which is a distinct advantage. They occupy sometimes surprisingly small marshes with a water table of 10-20 cm, with a vegetation of narrow-leaved marsh plants (typically sedges and low rushes). When they have young, they will give harsh Magpie-like calls like cha-cha-cha-cha but also loud Blackcap-like ‘tek’ calls. Will Frampton Marsh rock the world of scrapes? I pondered this question as I sat through the rather dull indoors part of the reserve annual review and itching to get out and examine the wader potential of the scrapes in the field, especially as I had noticed the Wind of change had gone to the east. Located on the south-west corner of The Wash, the site certainly has the potential to pull waders. Hmmm Penny for your thoughts. Regular readers will know I have ranted about scrapes before. Food abundance and availability are the key issue. These are, in turn, is affected by water regime, nutrient levels and predators. 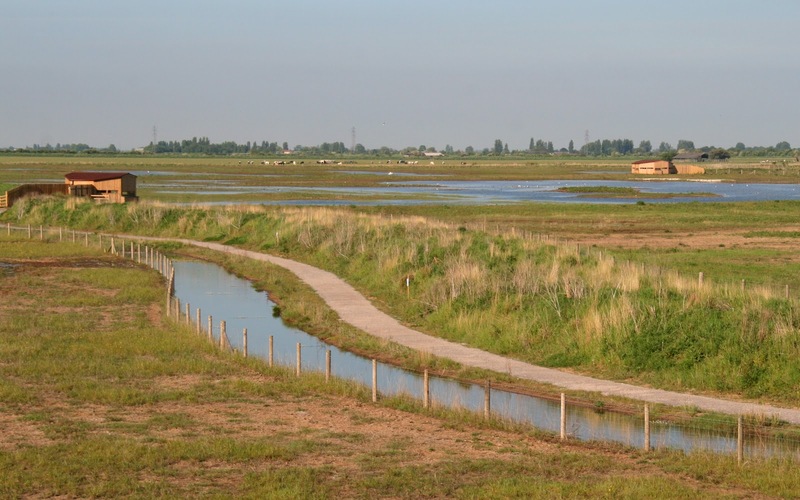 New wetlands are generally highly productive in the first few years of existence as early colonising invertebrates benefit from high nutrient levels and reach high abundance levels. Food! As time passes, nutrients become locked up in the system in mud and decomposing material and invertebrate predators increase as a more balanced system develops. Less food! So the key is to dry out shallow water bodies to allow nutrients to be released to the system, to kill off predators and then to re-set the clock by allowing re-colonisation. But how often should this be done? Some ‘food’ invertebrates may peak in year 1, others up to years 4-5. The trouble is that birders then moan when a scrape is dry for a season and there are no birds. Many reserves fail to manage scrapes correctly for fear of a visitor backlash when they are dry, but then end up with a visitor backlash for having few birds. It’s a plain shame. So, Frampton was designed with three scrapes adjacent to each other, all around seven hectares in extent. The two hides each overlook two scrapes. The aim is to rotationally manage the scrapes; drying at different times to maximise the potential for waders. Visitors will also see Something’s happening at all times. Eventually we got out into the field, no doubt they saw the Lines on my face. I said ‘Show me the way’. The first scrape held a Black-necked Grebe and nine Little Gulls. 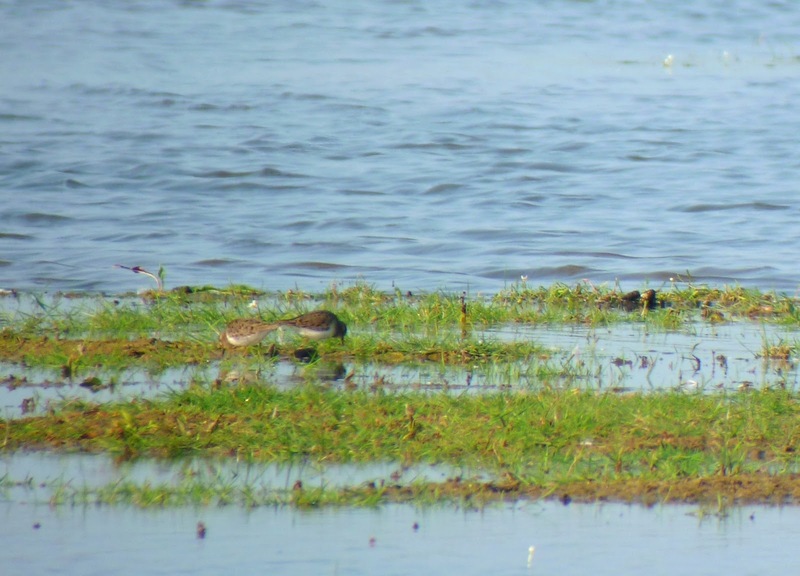 A couple of Temminck’s Stints grovelled around an island on the next scrape, while the third had Greenshank, Black-tailed Godwit and a number of broods of Avocet swishing for food in the shallow water. Baby, I love your way. 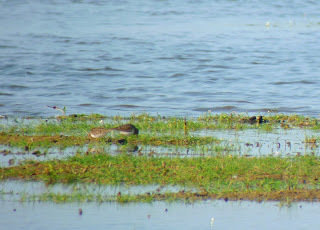 The adjacent wet grassland scrapes held 100+ Dunlin and Ringed Plover, Curlew Sandpiper and Garganey. A bright future would seem set to Shine on Frampton. Do you feel like we do? With the dust barely settled after the recent house move, I’m beginning to get a feel for the new surroundings. The feeders are out in the garden and the list is up to 40; Green Woodpeckers and Nuthatches every day are a bit of a novelty so far. House Martins have returned to old nests under the eaves. Just beyond the garden, Wormley Woods stretches in all directions. ‘Wormley’ apparently is derived from the old English word meaning ‘the clearing infested with snakes’. The ‘Woods’ themselves are considered the best UK example of Sessile Oak-Hornbeam woodland, a stand-type found on acidic, well drained soils. The ground flora of such woods is often poor, with abundant bramble, bracken and honeysuckle but little else. However, some specialities do occur; Wild Service Tree, Great Wood-rush and Golden-scaled Male Fern. The woods have a series of deeply cut streams running through them, many of the flatter areas swathed in Ramsons and Golden-saxifrage. These were the woods of the Redstart, Hawfinch, Nightjar and Woodcock in Hertfordshire, now all thin on the ground or gone. The snakes are still there though. The first trips out into the local patch have not been that exciting. Woodpeckers, Nuthatches and a few flyover Crossbills, which appear to have bred locally. Today was a better day though; a calling Lesser Spotted Woodpecker and a fly-over Honey Buzzard. The decline in Lesser spots has been attributed to low breeding success, with a lack of food being a possible cause. The disappearance of one of the adults, often the female, is suggested as the cause of failure, with the remaining parent failing to bring in enough food. 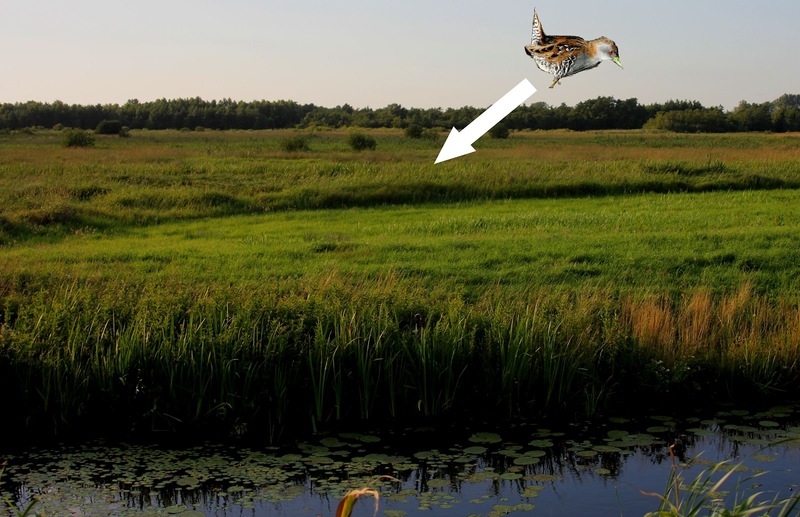 Female Lesser spots have been shown to have lower survival compared to males and their disappearance may be an adaptive strategy, but it fails to work if the male cannot up the provisioning rate to match that of two birds.